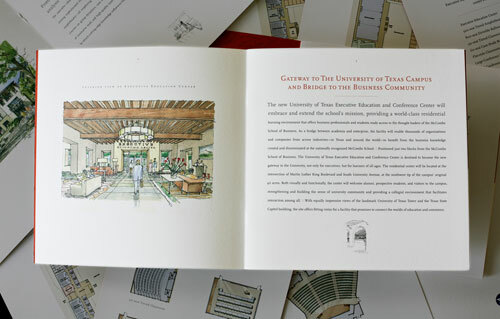 The McCombs School of Business was in the planning stages of creating an executive education conference center and hotel complex in order to help the school maintain and improve its position among elite business schools throughout the country. 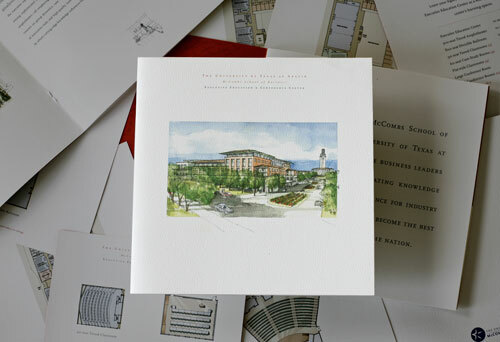 The goal of this brochure was to solicit donations to help fund the construction of the building, including naming opportunities for individual rooms as well as the conference center itself. As such the brochure had to include a method of including changing inserts depending on what areas were still available for naming and at what price levels. 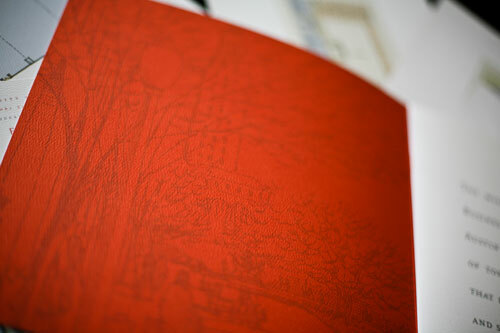 This was solved by including a pocket in the back cover and creating a series of template shells to be printed on as information changed. Of course the unique challenge for this project was showing people what the building looked like and selling them on the idea without having an actual building to show. 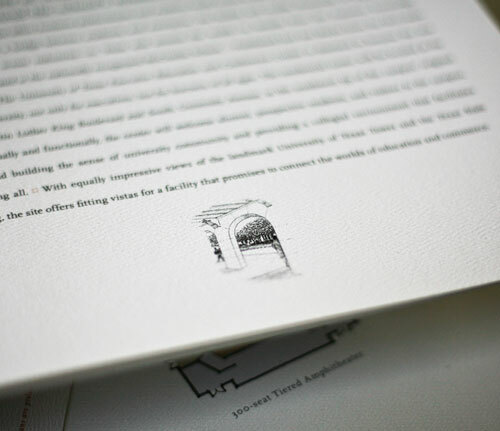 Utilizing architectural renderings from the architect on a water-color style paper stock elevated the look almost to the level of fine art, completing an effective and very tactile finished piece.